We have a great deal on the PinBox 3000 DIY Cardboard Pinball Kit in the Geeky Gadgets Deals store today, you can save 25% off the regular price. The PinBox 3000 DIY Cardboard Pinball Kit is available in our deals store for $44.95 it normally retails for $59.95. You may not have space or the money to put a full-scale pinball machine in your home but if you just can’t suppress your inner pinball wizard, then check out these cardboard alternatives! The PinBox 3000 is the crafty solution to bringing pinball into your home. This creative kit contains everything you need to build a cardboard pinball machine yourself without any extra tools, and you can customize your game any way you want using craft supplies and other materials to make jumps, bumps, ramps, and rails. Don’t suppress your inner pinball wizard, let it out! 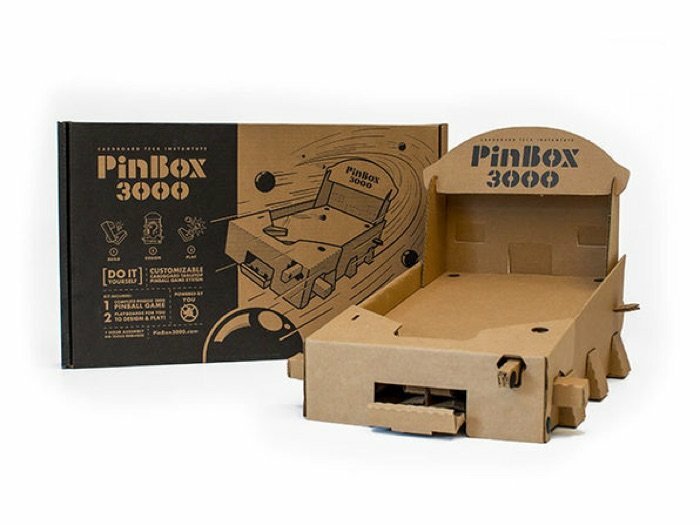 You can find out more details about the PinBox 3000 DIY Cardboard Pinball Kit over at our deals store at the link below.